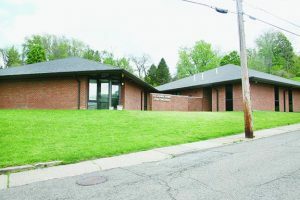 Pictured is the St. John’s Home for Children in Wheeling. The home is celebrating its 160th year of service in West Virginia. The home offers a numbers of services to children and their families. It provides clinical evaluation; treatment planning; counseling for individuals, families and groups; case management; life and social skills; behavioral skills training; tutoring; and character education. McCormick said the home has seen the need for its services grow in recent years. “Abuse and neglect,” he said, “continues to run rampant in our state. Substance abuse and domestic violence plays a big part of that. Our state remains in the top 10 in terms of worst states for abuse and neglect of our youth. There is such a need for our services. Our government needs to do more to address this issue.” McCormick said he hopes to expand the home’s services in the future to address these issues. “In the future,” he said, “we want to expand to offer an after-care service—which means when a child leaves here we follow up with him for six to nine month. This ensures that he does not fall through the cracks and back into a bad situation. We would also be able to provide some outpatient or outreach services to the child. Many times, when a child leaves here, we don’t get to see or hear anything else abut him. This program would allow us to follow him to make sure he is comfortable and thriving.” The St. John’s Home for Children is nationally accredited by the Council on Accreditation and is funded in large part by the Diocese of Wheeling-Charleston. The home is also funded in part through a contractual arrangement with the West Virginia Department of Health and Human Resources, Bureau for Children and Families. For more information on the St. John’s Home for Children, visit www.stjohnshomeforchildren.org.